For the last few weeks, my studio has been filled with creative chaos. That seems to be how I work best. I've been busy with several swap projects for the Marie Antoinette group. I created this Secret Valentine Heart for my partner Robin. It is completely hand stitched, which was so much fun to do. I love hand stitching because it's very relaxing. And of course, it needed a lacy little tag. In another swap, I learned how to create a button brooch. I disassembled a vintage pin and used the back piece as my base. 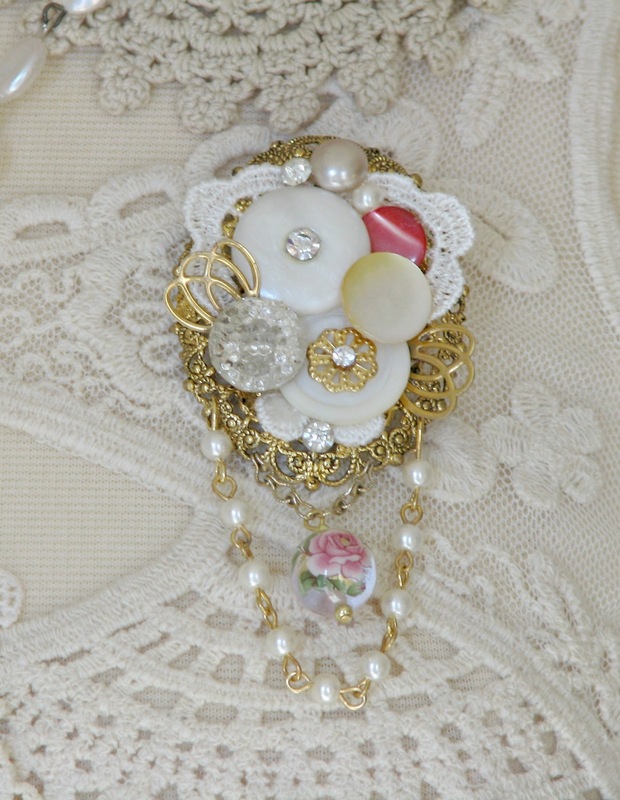 Then I added vintage buttons, lace, and other jewelry pieces. I just love trying new things! so I created this book. I removed the cover, and created my own using fabric and lace. to create a little 'scene' with lace, flowers, and a sweet little window. When I was a girl, I made a book like this to hide things. so today, I've been a little brain dead. I needed something easy to do, so I've just been making flowers today. Hope you've been doing something fun this week! If you're going to have chaos, then creative chaos is the best kind! I love your heart....handstitched! Wow! 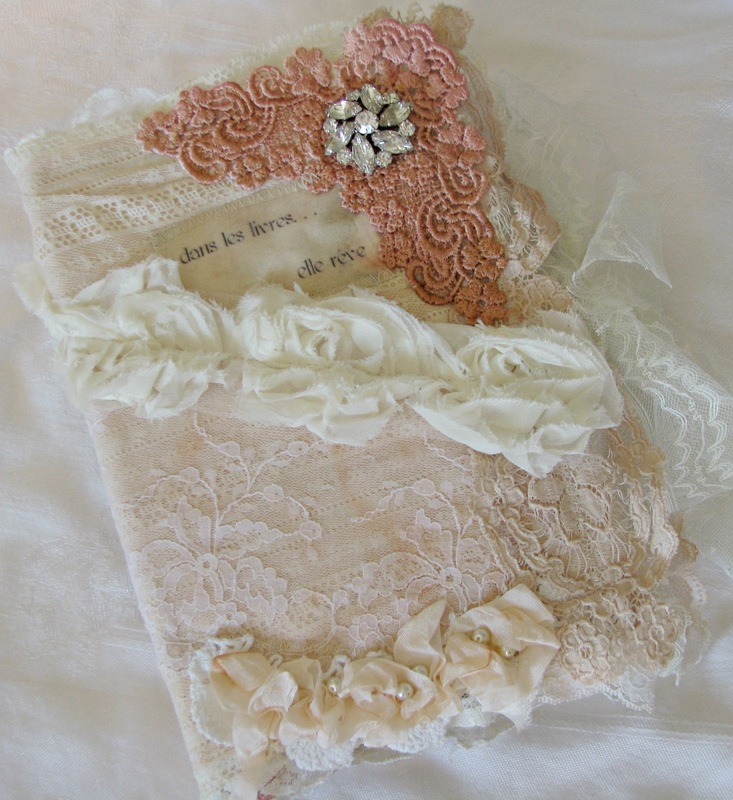 The layers of lace are so pretty, you've an eye for layout and design. Thanks for sharing. Have a great night debi. Wow! These are all sooooo gorgeous. Especially love the hand stitched heart! So beautiful Debi! I adore that book! So...I might have a new addiction for you - Crazy Quilting. Talk about relaxing. All hand stitched... no rules...just stitch. I wish I had more time, but am taking a little each day to practice. Oh goodness, what great creations! I would love to try making a heart, that is so pretty loaded with little bits of lace and that brooch, oh and the book...All Gorgeous! I also LOVE the hand stitched heart! It's just beautiful!! !One lucky gal that is receiving it. These are beautifully handmade keepsakes! I love the wing and the key on that wonderful heart! Such a pretty Valentine! And thanks so much for letting me know you came by! Everything is so gorgeous! Love the heart, the tag is so pretty and the book is amazing! Hi Debi, Wow! you have been busy! 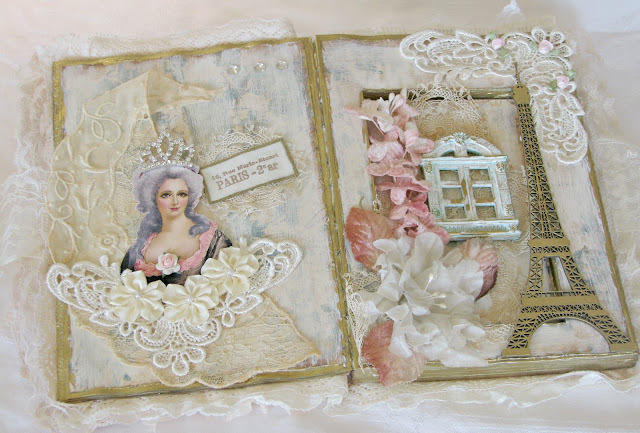 I love all the projects you've done, the heart the brooch and book all so stunning! I love the info on the Avocado dye..that is awesome. Thanks so much for sharing I will have to try that! Your blog is just awesome and you are so creative!! Debi, everything is just as beautiful as always! Yes, hand stitching IS relaxing! That's why I do so much of it! your stuff is very creative! Your work looks like you put a lot of love in it! Those hearts are beautiful!I am going to have to have a longer look around-lots of pretty things to see. Well, I think Chaos works for you!! Beautiful! I need to pull an all nighter to clean my space up too! You do such beautiful work! I love the valentine heart and am so impressed with your handwork. I don't know if hand stitching would be relaxing for me....I would probably be doing ripping than sewing! 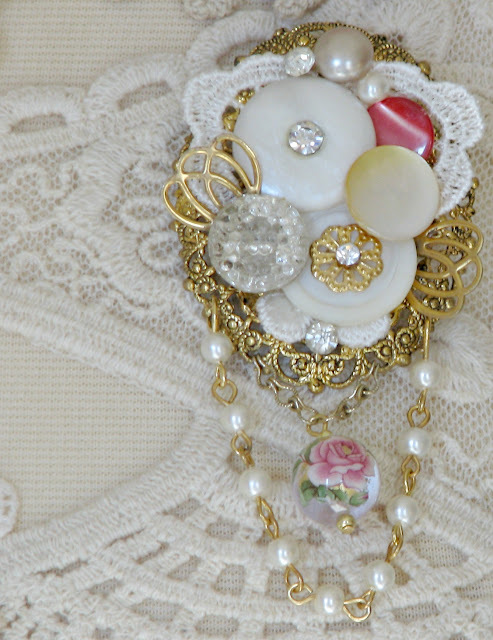 s day, but have never made button brooches - would love to learn how! I'm making baby bonnets this week! My goodness! That looks SO 'delicious'! 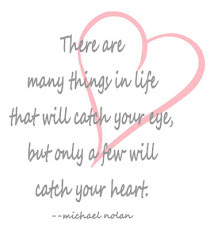 Your heart is very inspiring, too. All your lace is beautiful among those colours you chose. You have the perfect eye, girl. By the way, I am your newest follower!